Meeting Our New Executive Director! We are thrilled to introduce Maureen George, the new Executive Director of the Power of Flowers Project. At a special “Meet and Greet” gathering at the Workshop on Monday, March 18, POFP Chair of the Board, Patrice F. introduced Maureen to the group. If you weren’t able to make the meeting, here’s the scoop on the new kid in town. 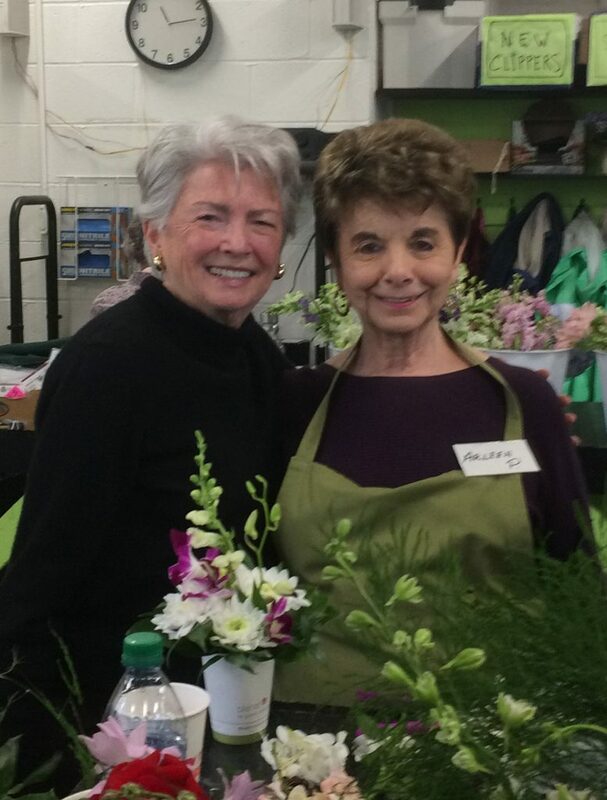 With an extensive background in fundraising for organizations with mega-budgets (The Wharton School at UPenn) or minor budgets (Our Neighbor’s Table, a food pantry in Amesbury), Maureen’s main focus will be on helping the Power of Flowers Project grow and attain sustainability. Non Profit Organizations help us create the world we dream about. We can lead the world towards a better way to respond, namely kindness. Maureen joined our organization effective February 25, 2019. 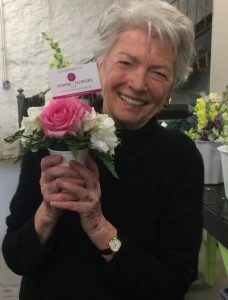 She immediately spent some time in the Workshop meeting volunteers and making her first POFP signature bouquet. She has a proven ability to work with volunteers to reach goals while respecting the organization’s culture and mission. 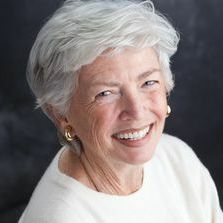 You can learn more about Maureen and her approach to fundraising on her website www.georgeconsulting.services. If you haven’t had a chance to meet Maureen in person, please stop and personally say “Welcome” when you see her in the Workshop!